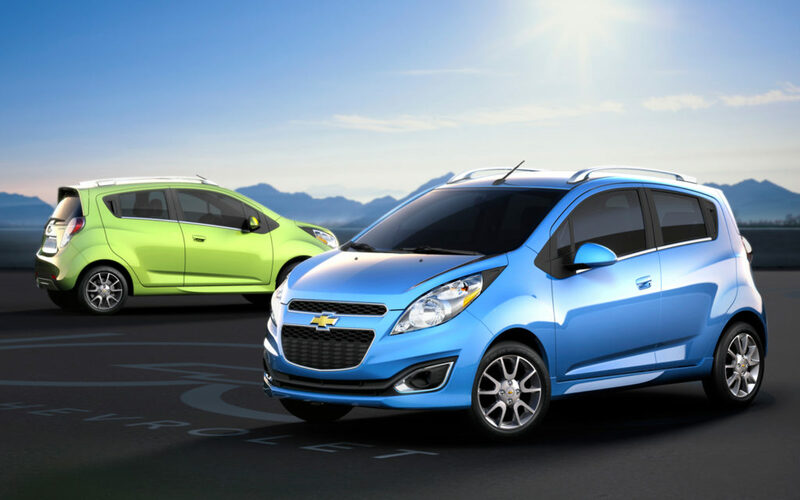 The Spark city car has been part of the Chevrolet lineup in one form or another since 1998. After securing a steady position within the bowtie brand, the Spark was offered as an all-electric car, which happened to be Chevy’s first all-electric passenger car offered since 1999. While it has only been available in select markets for just over four years, the Spark EV will be bowing out in graceful reverence to the newest addition of the brand’s lineup. The arrival of the new Bolt EV has sparked the removal of the longstanding nameplate, which also relied heavily on the fuel savings craze that has swept America in recent years. With so many Chevy cars already available in the United States, most won’t miss the Spark EV, but that doesn’t mean it doesn’t deserve a proper farewell from this bowtie brand fan. The Chevy Spark EV was released in California and Oregon in the early summer of 2013. As the first all-electric passenger car marketed by General Motors since the EV1 model retired in 1999, the introduction of the Spark EV marked a pivotal point in the future direction of Chevrolet. Take a look at the three model years of the Spark EV that were offered here in the United States, and see how important it’s creation was to the new Chevy Bolt EV. 2014 Spark EV: Chevrolet released the first Spark EV in June of 2013, for the 2014 model year. The traditional gasoline-powered Spark had been part of the Chevy lineup since 1998, and as the smallest car in the lineup, it made the perfect all-electric vehicle. The Spark EV offered plenty of power from the start, with the ability to jog from zero to sixty miles per hour in just 7.6 seconds, packing a mere 130 horsepower rating and 400 lb.-ft. of torque. Despite this impressive pick-me-up, the 2014 Spark EV was only able to manage a range of 80 miles on a single charge. By today’s standards, this number seems almost laughable, but drivers were still able to get 128 miles per gallon in the city, and 109 on the highway. While this has turned off buyers in the past, the available DC combo charger was able to bring the Spark EV’s battery up to an 80-percent charge in just twenty minutes. Equipped with 15-inch wheels, USB port connectivity, hill start assist, and traction control, the 2014 Spark EV was impressive for what it was, and what it had to offer. After tax incentives, buyers were able to secure a brand new 2014 Chevy Spark EV for just above the $20,000 mark. 2015 Spark EV: As the only fully electric passenger car in the Chevrolet lineup, the Spark EV entered its second year unchanged. The standard base model for 2015 included a wealth of amenities, such as an automatic climate control system, Chevy MyLink infotainment system, OnStar services, remote keyless entry, and cruise control. The 2015 version of the all-electric car was similarly priced from the previous model year, making it just as affordable as before. 2016 Spark EV: The final model year for the Spark EV was offered in two different trim levels. The well- equipped base model came standard with power accessories, heated front seats, a seven-inch touchscreen display, HD radio, smartphone connectivity, and Bluetooth integration. Even more impressive than the amenity-rich base model, was the upgraded version which also included leatherette upholstery. The 2016 Spark EV came with a new 105-kilowatt electric motor, which was capable of generating 140 horsepower and 327 lb.-ft. of torque. When Chevrolet released the brand new 2017 Chevy Bolt, it was obvious that the Spark EV would soon be getting the pink slip. With an all-electric range of 238 miles per charge, the Bolt had a lot more to offer buyers, at a similar price. Just as the Spark EV was a hatchback, so is the Bolt EV, which evidently is replacing the smaller four-passenger car. With seating enough for five passengers, and enough range to actually get somewhere other than the local grocery store, the 2017 Bolt is the most exciting thing to happen to the all-electric vehicle market by a long shot. The introduction of the Bolt isn’t the sole driving force behind Chevy’s decision to remove the Spark EV from its lineup. The all-electric city car has only sold 7,400 units since 2013, which is less than impressive to say the least. To compare, General Motors announced that it sold nearly 2,000 units of the Bolt by the end of January 2017. Obviously, the new Bolt EV is a much more lucrative option for GM to keep in the Chevy lineup. As we bid farewell to the Spark EV, we usher in a new age of all-electric city cars. The 2017 Chevrolet Bolt can travel up to 238 miles on a single charge, blowing the Spark’s 82-mile range out of the water. With seating for up to five passengers, an impressive list of standard features, and a starting MSRP below $30,000 – the Bolt represents a shift in the all-electric vehicle market. Up to this point, EV options were reserved for luxury buyers, with luxury budgets. Not only did the Bolt blow industry expert expectations out of the water, Chevy’s newest addition earned the coveted title of Car of the Year from Motor Trend Magazine for 2017. Beating out stiff competitors like the new Genesis G90 and the Porsche 911, the 2017 Chevy Bolt has proven its worth, as well as its perseverance, right from the start. For now, it seems that the plug-in Chevy Volt hybrid is safe from being nixed from the lineup, but we wouldn’t be surprised if it converts to a fully electric option, or gets the axe in the next few years. As the all-electric vehicle category gains momentum, we expect that Chevrolet will begin adding more versatility in body styles to its electric offerings in the very near future. Until then, we will enjoy all that the Bolt has to offer, and continue following its success. While the 2017 Bolt is not yet available in New York, we will be the first to report when it does arrive on the showroom floor here at DePaula Chevrolet.